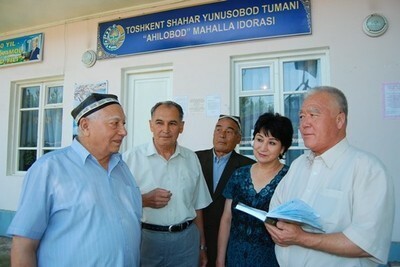 May 5 marked in Uzbekistan the start of elections of chairpersons of citizens' assemblies and their advisers. 9764 chairpersons of the citizens' assemblies and more than 99,000 of their advisers will be elected in the course of the elections. During the elections, citizens vote for those candidates who are most worthy. - Election of the chaipersons of citizens' assemblies and their advisers is conducted through open or secret voiting, - says head of the working group of the Commission of Kengash of the Senate of Oliy Majlis of Uzbekistan Tolibjon Madumarov. - The decision on the form of a voting procedure is taken by assemblies of citizens. The candidates present their programs and plans for the future. Public voting is conducted for each candidate in the order of priority of received proposals for candidates. The winner of the elections will be the candidate who received more than half of the votes of citizens. Counting Commission counts the votes and announces the result. Secret voting is carried out without any control. Ballots are distributed to assemblies of citizens by counting commission before the voting. Bulletins are made according to pattern and form established by the Senate of the Oliy Majlis. Elections will be held in all the assemblies of citizens and will last until the end of June this year.